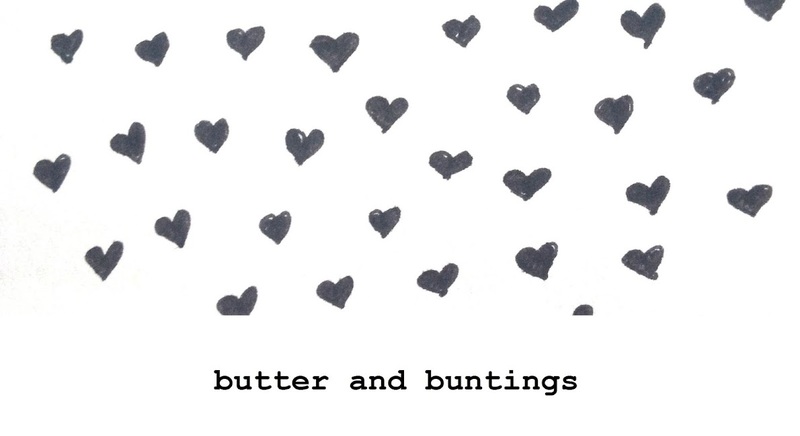 Butter and Buntings: Apple Charlotte and other things making me happy this week! Apple Charlotte and other things making me happy this week! Hello all my lovely readers. How is your week going? I'm having a lovely week, filled with lovely things that have made me happy. I thought I would share these with you. First, I will share a recipe for a seriously delicious Apple Charlotte. Ever heard of it? Ever eaten it? Apple Charlotte is the perfect food. It uses stale bread and stewed apples, so no need to throw old bread and apples away again! It also uses lots of butter..mmm butter! I found lots of different recipes for this, but ended up making my own. Make this, top with some natural yoghurt, ice cream or cream and you will be so happy inside! Preheat oven to 180C. Prepare some stewed apple to your liking. Ours was just apples quartered, skin on and stewed in a little water with cinnamon. Let cool. Whatever you decide to bake your apple charlotte in, the idea is to line it with bread, so cut the crusts off the bread and cut into smaller sizes if needed. Melt a fair amount of butter over a low heat in a frypan. Dip the slices of bread into the melted butter, then sprinkle the bread with cinnamon and sugar. Place the slices into the ramekins, along the base and sides. Once lined with buttery, sugary bread, spoon the stewed apples into the ramekins and then place another slice of buttery bread ontop as a lid. Place the ramekins on a baking tray and bake for 20 minutes until bread is crispy and golden. Enjoy straight away. It's just soooo great and lets be honest, its the butter that makes it this way! Hooray for butter! As I mentioned before, this week has been filled with lovely things. 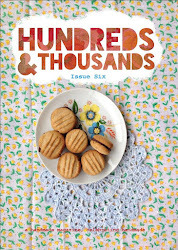 I recieved a package in the mail from Nanna Viv, from Jam and Cream, with lots of beautiful buttons. She knows Im doing a button swap, and was so chuffed with my blog post on her cafe, she wanted to send me a little gift. Aren't they pretty? I also had a delicious lunch there on tuesday with Mezz which was a lovely way to spend my day! I've also been getting lots of emails from my button swap participants saying how excited they were. This makes me happy, as I was a bit nervous about how this swap would go, not having planned one before. A highlight so far was seeing a favourite blogger and fellow swapper,Joanna, blog about her excitment for this button swap. Have a look at Adventures and Tea Parties. I'm very excited now! What lovely things have you seen/been part of/recieved this week? Even the greyest, most stressful weeks have something lovely in them, have you seen it? Oh..im glad you loved it! Picturing you singing it to your students! Ooohh, that looks delicious.....and those buttons are gorgeous!!! Thanks! Hope your looking forward to your button swapping! Quit making me drool all the time Taz! My favourite type of recipe- great for reducing possible food wastage. Oh and thank you for the wallpaper (and all the other goodies). 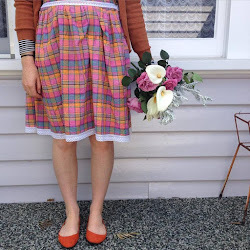 The pretty retro print makes for the perfect photography backdrop.